If you are looking to recognize those who put their lives on the line to help others, the Bronze-Colored Resin Firefighter Award is your solution! 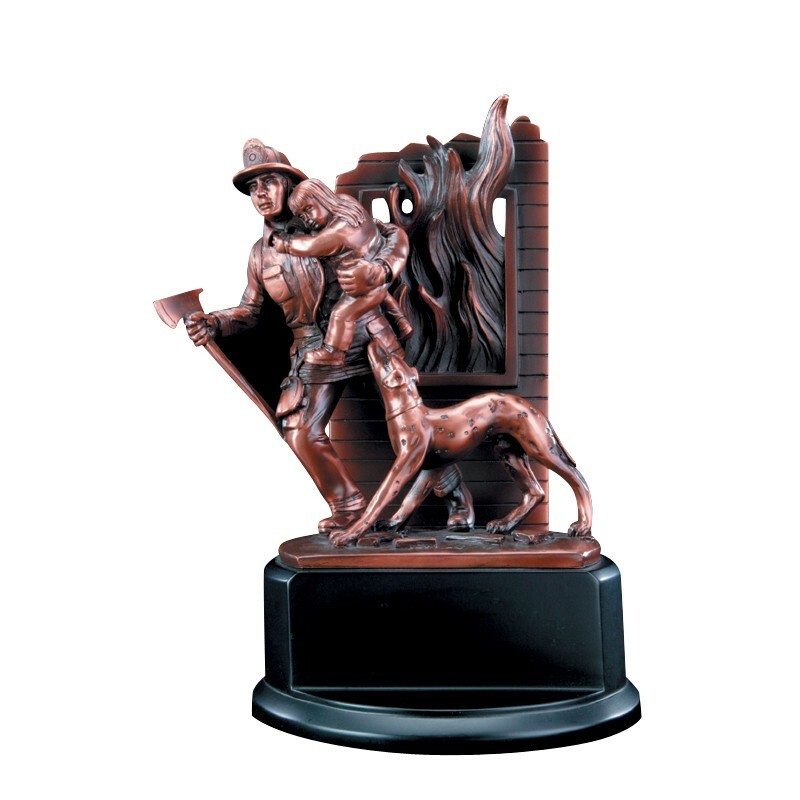 Measuring 8 inches in height, this solid resin award features a firefighter and dog rescuing a young girl from a burning building. Electroplated with bronze, this award includes up to 4 lines of free engraving for the perfect custom finish.